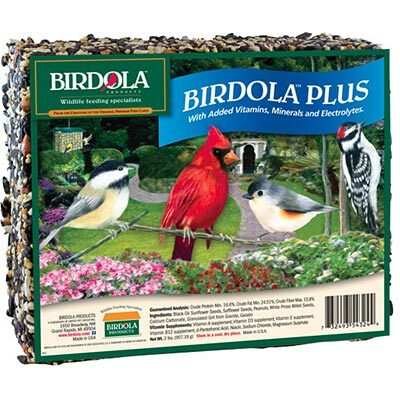 The Birdola Plus Seed Cake provides your wild birds with a high energy feeding option. A great alternative to loose seed feeding, seed cakes can attract a variety of wild birds or specialized species, depending on the type of seed cake you use. Seed cake feeders are small enough that you can establish several feeding stations all around your yard. The Birdola Plus Seed Cake is a sizable snack and the perfect way for you to attract a wide array of high metabolism birds to your yard. Made in the USA.